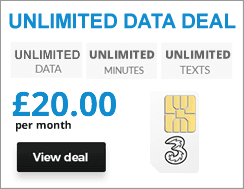 Existing Three customer are eligible for a special upgrade deal as a thank you for their loyalty. When can I upgrade on Three? When you can upgrade depends on the type of plan you are and we've outlined the various possibilities in the table below. You also need to ensure your bill payments are up to date to be eligible for an upgrade. Those on 1 month plans can upgrade straight away subject to a credit check. If you are not yet in the last 30 days of your contract then you can take advantage of an early upgrade, but you may have to pay an early upgrade fee. This fee is the remaining months of your current contract. To upgrade you need to call Three on 333 or 0333 338 1001, or visit your local Three store. You can check if you are eligible for an upgrade by logging into your My3 Account here. Why not have a look around the Three store online before you call to get an idea of what devices you might be interested in.